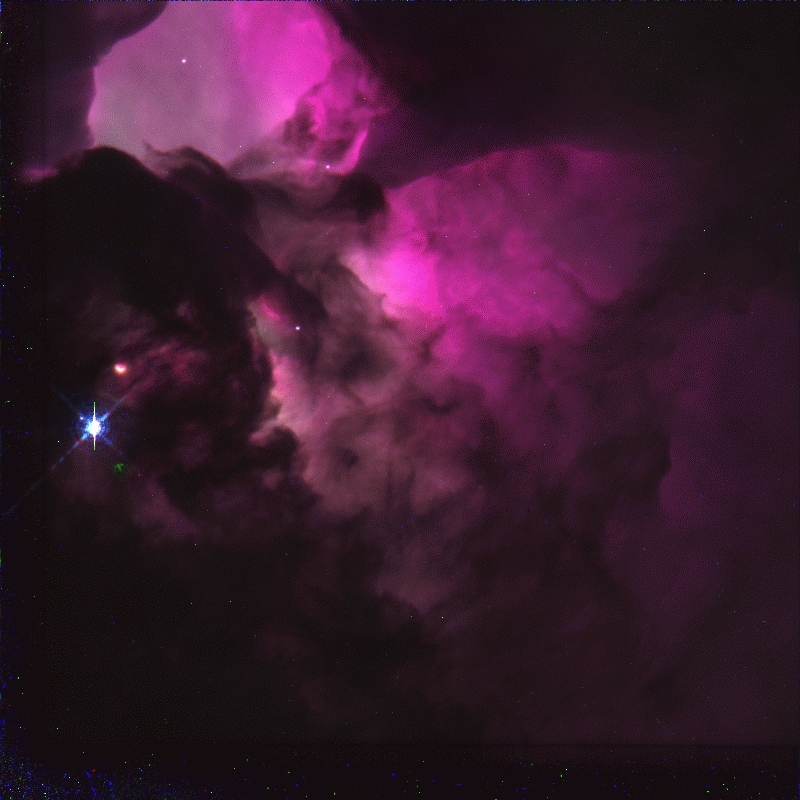 Explanation: In the central part of the Lagoon Nebula lies the above pictured Hourglass Nebula. In this region of recent star formation, obscuring dark lanes of dust permeate the red-glowing hydrogen gas. Blocking some of the gas cloud from our view, they chance to create a glowing shape that appears from our vantage point like an hourglass. In the upper right of this picture from the Hubble Space Telescope is a bright young blue star from the open cluster NGC 6530 - visible below center in yesterday's APOD. A recent study of the Lagoon Nebula (M8), has shown that this emission nebula houses large magnetic fields and unusually large dust particles. Tomorrow's picture: Arp 230: Two Spirals in One?